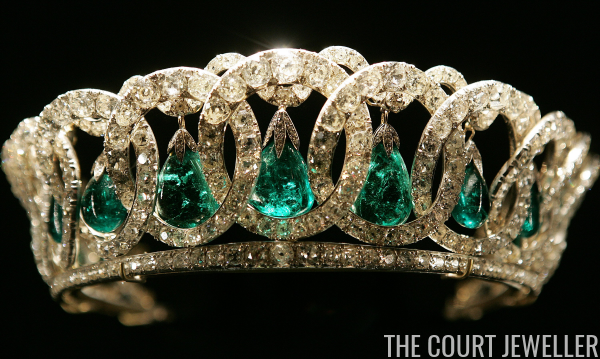 Accept no substitutes -- the Tiarapedia, the original online encyclopedia of tiaras, is back! Whether you're watching a parade of tiara-wearing women at a royal wedding, or scrutinizing sparklers worn at a state banquet, it can be extremely helpful to have a quick visual index of the tiaras worn regularly by the women of today's reigning royal families. Below, you'll find pages on each royal family's current tiara roster, including images, quick histories, and links to more information. Enjoy -- but remember, text and images from this website may NOT be reproduced anywhere unless you have permission from the writer.